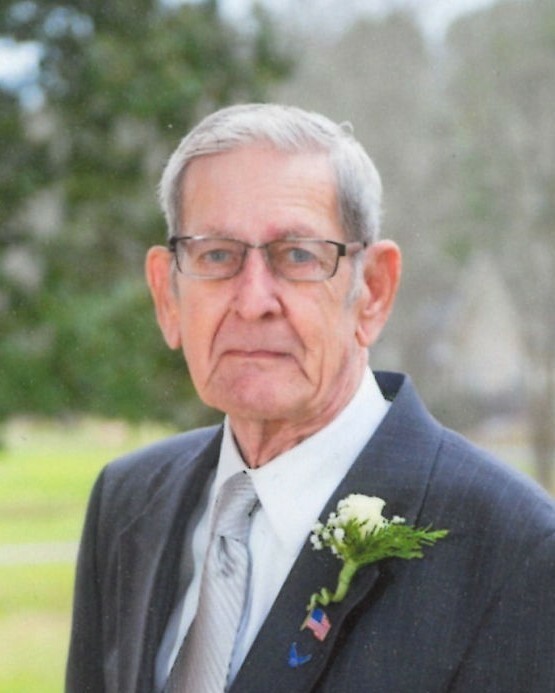 Darrell Delano Hisey, 86 of Chattanooga, went to be with The Lord on Thursday, April 11, 2019, after a two year battle with illness. He was born in New Amsterdam, Indiana, on September 18, 1932. Darrell served in the U.S. Air Force as an Air Policemen from 1951 to 1955, serving in North Africa during the Korean Conflict. After his time in the service, he married the love of his life, Cathern Gleitz Hisey, January 7, 1956, in Corydon, Indiana. Darrell and Cathern relocated from Indiana to Chattanooga, TN in 1964, as a Company Internal Auditor for American General Finance. He raised three children in Chattanooga, enjoyed fishing with his buddies, was an active member of St. John United Methodist Church serving there as Treasurer for several years. Darrell loved his family, his neighbors and his community and was active in Derby Downs HOA, serving as past Board President. In his later years, he became very active in genealogy, as well as stamp and coin collecting. Darrell was preceded in death by his mother, Zola Sherrill Hisey; father, Jesse Alvin Hisey; sisters, Eleanor Mangles and Frieda Barks Ruhlow; brother, Edgar Hisey and infant brother, Clifford Hisey. Survivors include his beloved wife of 63 years, Cathern “Cathy” Gleitz Hisey; son, Steven Kent (Imogene) Hisey; daughters, Lisa Kaye Hisey (Daniel) Cappetto and Linda Dee Hisey; grandsons, Matthew Thomas (Michelle) Hisey and Barrett Daniel Cappetto; great-grandsons, Macon Luke Hisey and Maddox Samson Hisey; great-granddaughters, Mackenzie Brooke Hisey and Skylar Mechelle Vaughn-Hisey and several nieces, nephews, dear friends and neighbors. Funeral services will be held at 11 AM Monday, April 15, at St. John United Methodist Church, 3921 Murray Hills Drive, Chattanooga, TN 37416, with Pastor Carl Blackburn, Dr. Bill Owens, Pastor Stephen McAfee and Pastor Chris Kaste officiating. Interment will follow at 12:30 PM in the Chattanooga National Cemetery with his grandsons, Matthew Thomas Hisey, Barrett Daniel Cappetto; Nick Hayes, Harry Mansfield, Jr., Ron Smith and Walt Willis serving as pallbearers. The family will receive friends from 4-8 PM Sunday, April 14, at the funeral home and also receive friends from 10-11AM Monday, April 15, at St. John United Methodist Church. Arrangements are by Heritage Funeral Home, 7454 East Brainerd Road, Chattanooga, TN 37421.